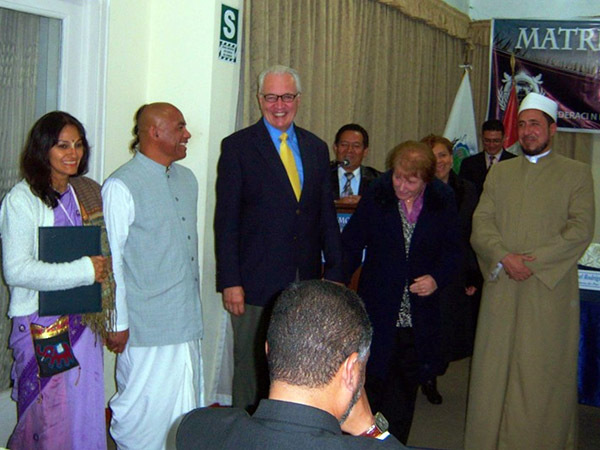 Lima, Peru -- Following up on a series of visits to other faith communities, Rev. Dr. Trevor Jones hosted a forum on Marriage and family on November 18 in Lima, Peru. 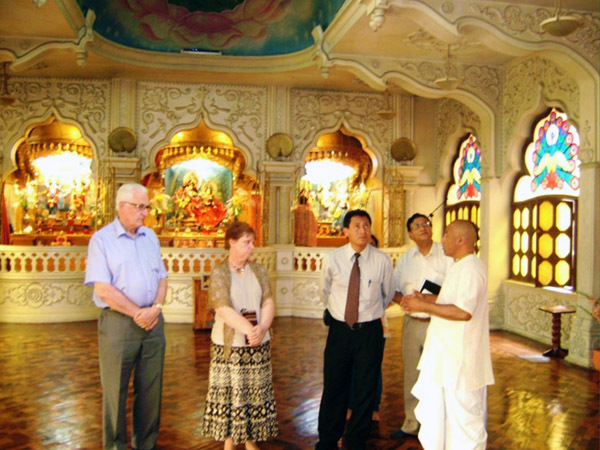 The panel included representatives from Catholic, Muslim, and Krishna Consciousness traditions. The evening program opened with a review of recent UPF activities on both the national and international levels. Following this short introduction by Dr. Jones, the UPF view on Marriage and Family was presented by Rev. Alberto Florido, President of the Family Federation of Peru, using the PowerPoint presentation entitled the Family as the School of Love and Peace. Each member of the panel presented their own faith's view, and the meeting was then opened to the audience for questions. It was clear from the speakers' remarks that there is a strong common opinion among religious people supporting the view that the family unit is the basic building block of society which needs to be protected and strengthened. Members of the audience expressed their appreciation for the evening program and asked for similar events to be held in other districts of Lima. The general feeling was that this type of education is much needed in Peru, and Dr. Jones confirmed that UPF is willing to offer this type of event whenever and wherever there is a request. The guest speakers also expressed their willingness to participate on future occasions. The previous weekend, Dr. Jones had been given the opportunity to speak on this theme in a conference co-sponsored by the Regional President of Callao, the most important port in Peru. The meeting was the Fifth Annual Conference for Peruvian Women, and more than 1,500 women attended the day-long program. In the closing ceremony, a number of new Ambassadors for Peace were appointed, including three recently elected congresswomen.